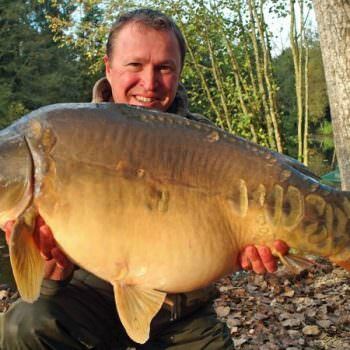 October is not month usually associated with stalking carp but if you don’t try you’ll never know! 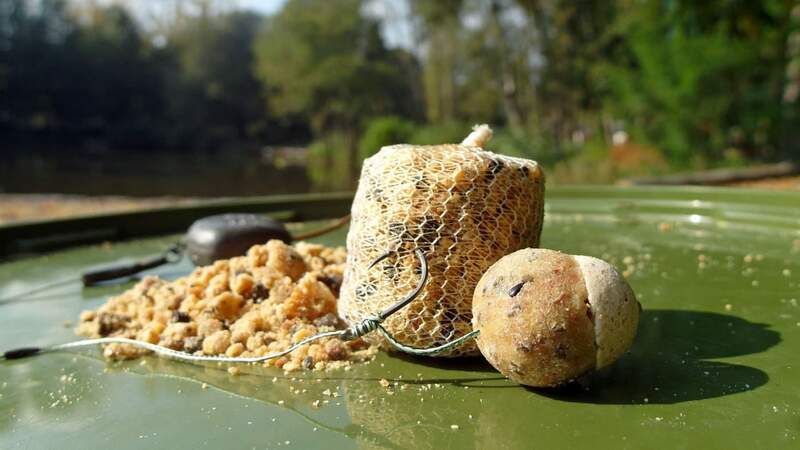 Beausoleil is a lake packed full opportunities for the mobile angler but every year it’s just the one or two anglers that step away from the bivvy and go hunt themselves a carp in the margins. My rules for stalking are pretty relaxed. 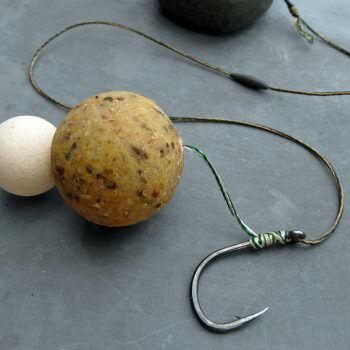 Basically, if you think you can safely land it then fish for it! 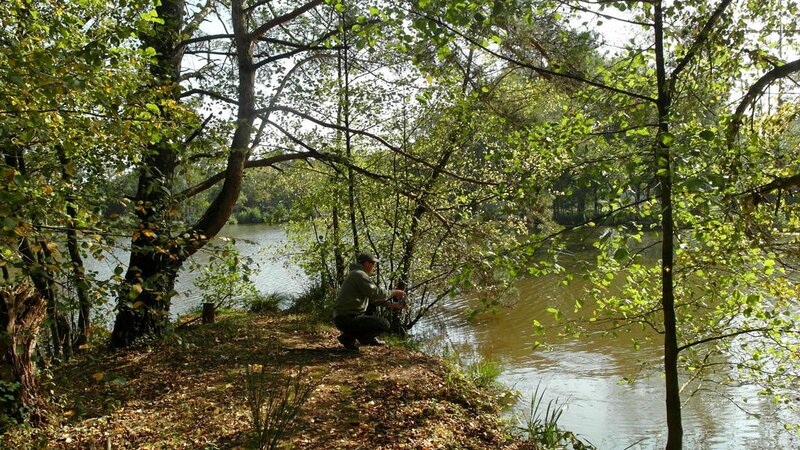 I walk the lake many times a day when fishing, keeping a close eye on what the carp are up to. I was creeping along the island when I clocked a small puff of silt and some water boil on the side away from where I was fishing. 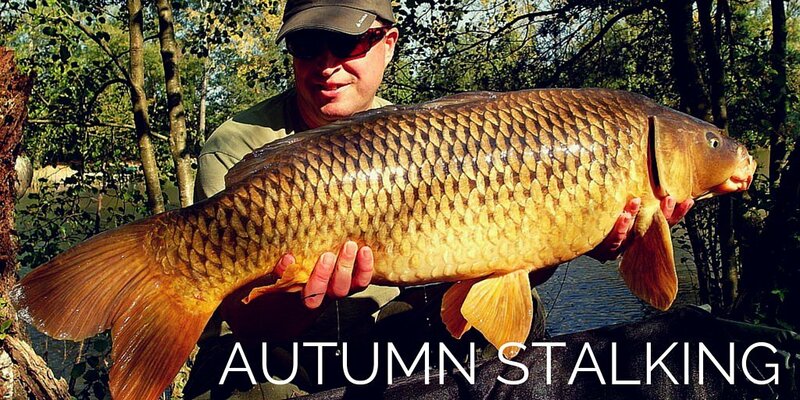 The autumn sun was warming the margin and this carp was very sensible making the most of it. I never saw the fish itself of course, but felt confident that if I could get back on the island quietly enough I had a chance of a bite. 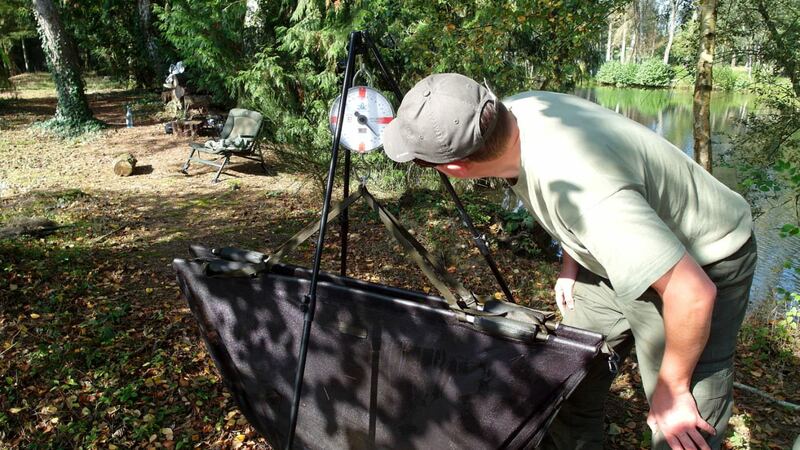 My stalking rig is just my standard rig! 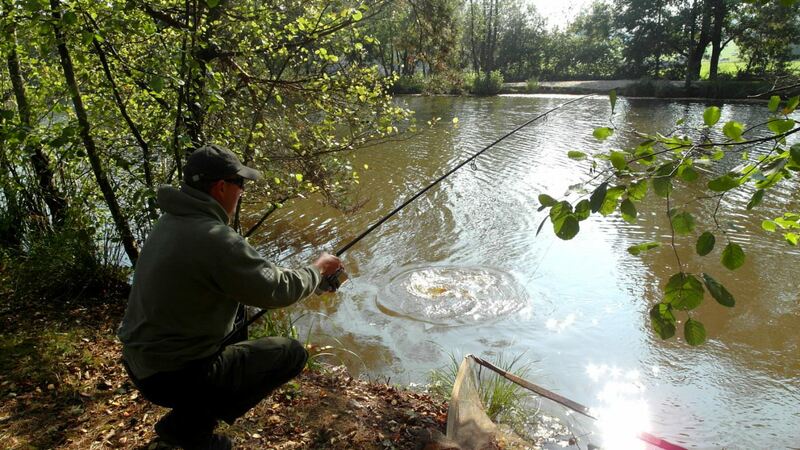 After a quick bite to eat I returned to the island with a rod, a landing net, one bank stick to secure the net if I got lucky, a chair and some water. 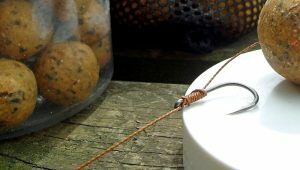 I knew I only had one shot so opted for a single slow sinking snowman presentation on a Beausoleil rig and a 3.5oz lead. Basically, exactly what I’d been using to chance them during the session. 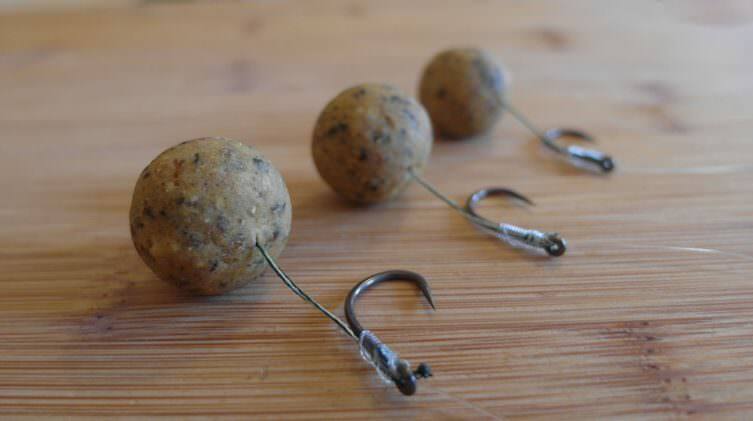 To make it irresistible to any self respecting carp I crushed up some Blue Oyster boilies and mixed them with some micro pellets. To make the mix sticky I added some oyster sauce from the Asian food market, some fish sauce and some hemp oil. 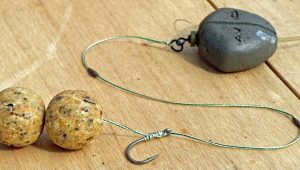 Using a PVA compressor tool I made a small stick of 30mm long and simply nicked it onto the hook. To get the rig in place I simply lowered it 1m off the margin underneath a small tree and laid the tubing and then mainline up the marginal shelf. 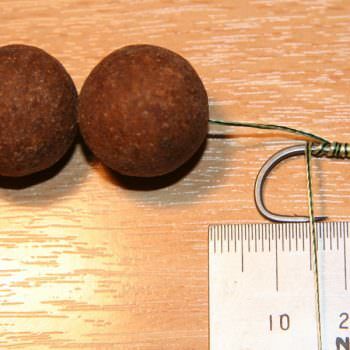 Carp are very sensitive to line lay and it’s imperative to keep things as discreet as possible. The last thing I wanted was the shadow of the rod over the water so I carefully laid the rod right back with the tip ring just on the edge of the margin. 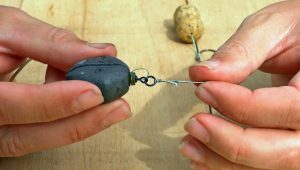 I set the clutch nice and quite loose then wiggled a small, short bank stick into the earth in front of the reel handle. With my setup complete, I edged back along the bank and hid myself behind some tree cover 5m meters away and patiently waited. I sat so still that a dragon fly mistook me for a part of the scenery and sat on my hand for a few minutes. If the dragon fly never saw me, perhaps the carp wouldn’t either? It was a perfect afternoon, despite being late in the season, it was really quite warm. I was tempted to remove my hoodie but I dare not move a muscle. I’d eaten a good lunch so hunger wasn’t an issue and I had enough water for a good few hours. I hadn’t made up my mind how long I was going to give it. I usually get a sense if the moment has gone or not so I’d just have to play that one by ear. To be honest I was very much enjoying just having the opportunity to give it a go. Ever since we picked up the keys of the fishery nearly 5 years ago, most of my time when I’m there during daylight hours has been spent working on the place. 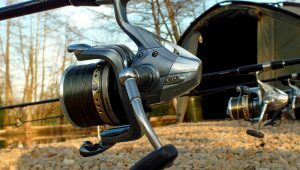 I also knew that in the last 5 years to my knowledge only one angler had successfully stalked a carp from the island and considering we meet 100 anglers a year that’s pretty long odds! Much to my surprise, after less than an hour, a decent sized bow wave shot out from the margin closely followed by my line. The rod arched over and the clutch span and by some miracle I was in! Ren was sat in the point swims and seeing me leap from my chair shouted across to me. As Ren trotted round, I played the carp out avoiding the various over hanging branches and she was just in time to get a few shots before I slipped him over the cord. At 23lb it’s one of the smallest commons in the lake but fin perfect. 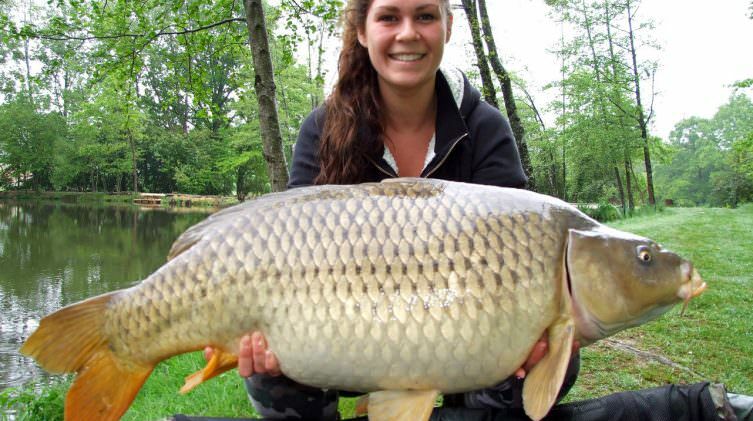 When you catch carp in this manner size doesn’t matter. It made a perfect afternoon really rather special and I hope one day to repeat the feat! If you are visiting the venue next year I do hope you’ll have a go yourself.